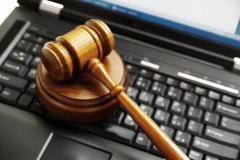 Any party who thinks about cutting corners in complying with e-discovery should think again. On December 9, 2013, U.S. District Court Judge David Herndon from the Southern District of Illinois imposed close to $1 million in punitive damages on defendants Boehringer Ingelheim International GMBH (“BII”) and Boehringer Ingelheim Pharmaceuticals, Inc. (“BIPI”) for failing to adequately comply with the court’s discovery orders in In re Pradaxa Products Liability Litigation. The defendants in this case were punished, largely due to the limited scope of their litigation holds and the timeliness of their productions. Ultimately, the court found no problem with the scope or language of the litigation holds, but rather with their implementation. Notably, the court mentioned that the defendants never sought leave of the court to delay implementation of their litigation holds, and the court therefore relied on the presumption that all material relevant to litigation was being preserved as requested. Prior to the imposition of punitive damages, the defendants were fined $29,540 on an earlier motion by the plaintiffs seeking sanctions and the production of materials relevant to the litigation. In addition to imposing the fine, the court stated its belief in “progressive discipline,” and said it would consider further sanctions if discovery violations should continue. The plaintiffs filed their second motion for sanctions (mentioned above, filed December 9, 2012) when continued discovery violations were evident. The motion claimed that the defendants (1) failed to preserve the custodial file of a high-level scientist intricately involved with Pradaxa, (2) failed to preserve and/or disclose relevant material, (3) failed to adequately produce material within a shared network drive used by company employees, and (4) failed to produce and/or ensure preservation of relevant employee text messages. The defendants attempted to justify such violations, but the court did not agree. For their violations, the defendants were assessed $931,500 in punitive fines. Plaintiffs submitted broad discovery requests with which the defendants failed to comply in a number of ways. Among other things, the defendants failed to grant a third-party vendor adequate access to acquire all relevant material from a shared network drive, and failed to ensure the preservation of relevant employee text messages. Specifically, the defendants had in place an auto-delete function on company phones that the defendants did not disable. The litigation hold did not even expressly extend to text messages until late into the litigation process, and thus did not cover use of employees’ personal phones for business purposes until that time. The defendants attempted to justify these shortcomings on two grounds. First, they claimed they did not know some employees had business-related texts on their mobile/smart phones and that this lack of knowledge was the employees’ fault. Second, the defendants argued that sanctions may be appropriate for failure to turn off an auto-delete function for emails, but are inappropriate for the same conduct with respect to text messages, since text messages are a “less prominent” form of communication and the production of text messages is “too burdensome.” Ultimately, the court had no sympathy for defendants’ arguments and ruled that the differences between text messages and emails make no difference, and that any undue burden associated with production should have been brought to the court’s attention immediately. The court repeatedly stressed the fact that the duty to preserve is not passive, but must be discharged actively. Failure to comply with discovery requests, even including preservation of simple text messages on employees’ personally owned phones that may have relevance to the litigation, could land a party in deep water and result in court-imposed sanctions. The moral of this story: when facing discovery requests of any magnitude, to avoid such sanctions, a party should be sure to timely act, either complying with such requests or bringing a motion before the court to contest the feasibility of doing so.